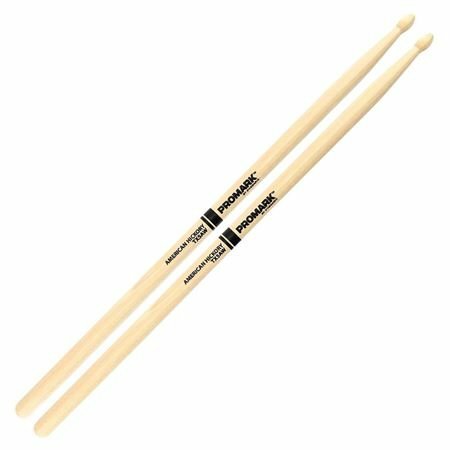 Shop ProMark 5A American Hickory Drum Sticks from AMS and enjoy Fast & Free Shipping. Good drum sticks, work well for my beginning into the world of drums. Cheap and do the job. Not my first choice in sticks. Over the years, I've played every major brand of sticks. Pro-Mark rates lower on my scale due to inconsistent weight between same model sticks, and the straightness has been an issue with about 20% of the Pro-Marks I've used. The feel of these sticks suit my playing style to a T. They are well balanced and offer a wide range of feel and touch on the drums. ProMark.... Enough said!! Amazing quality. ProMark is first choice to many percussionists. Totally understand why. Durability is unmatched. These sticks are the best cause that's why I still use them...all sticks can still break to but hey I do my best.